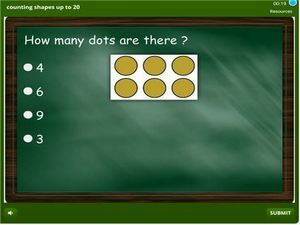 This is a counting shapes up to 20 quiz for kindergarten kids to practice online. In the quiz there are problems in which a picture shows a number of shapes. 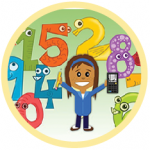 Children have to count and select the number which represents the number of shapes. There is no limit to the number of times kids can take this exercise and the good news is that it is compatible for PC and mobile. Learn on the go and track your progress as you go along.